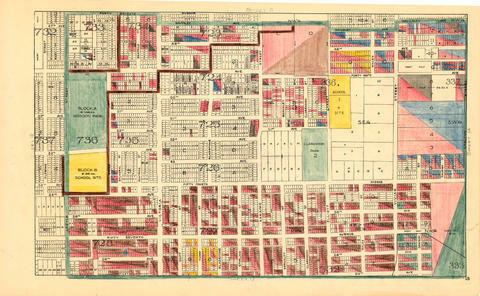 Item is a section showing the area from Prince Edward Street to Bruce Street and Forty-seventh Avenue to Fifty-eighth Avenue. Includes streets, roads, blocks, lots, legal descriptions, parks and schools. 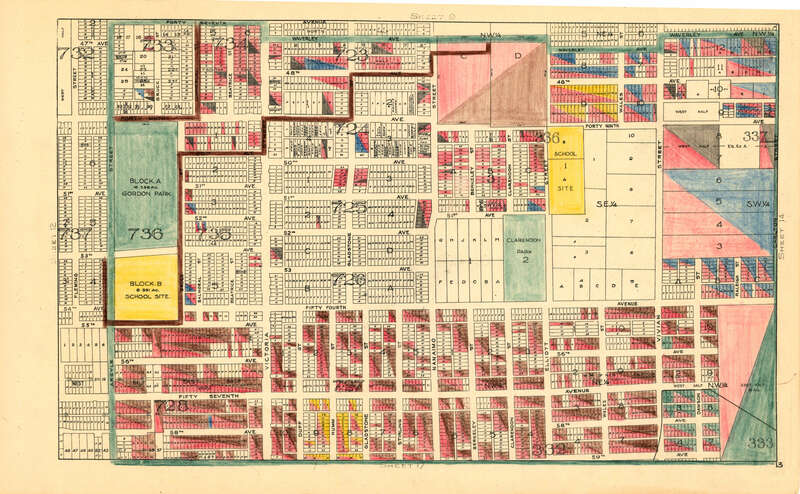 Map is hand coloured to show tax sale property for sale, property with no water, street widening and drainage, replotting, reserved land for schools, reserved land for parks, sundry land, capital assets not including schools and parks, schools, and parks, as applicable.